In a medium bowl, whisk the lime juice, oil and minced cilantro and season with sea salt and pepper. Gently toss in the jicama. 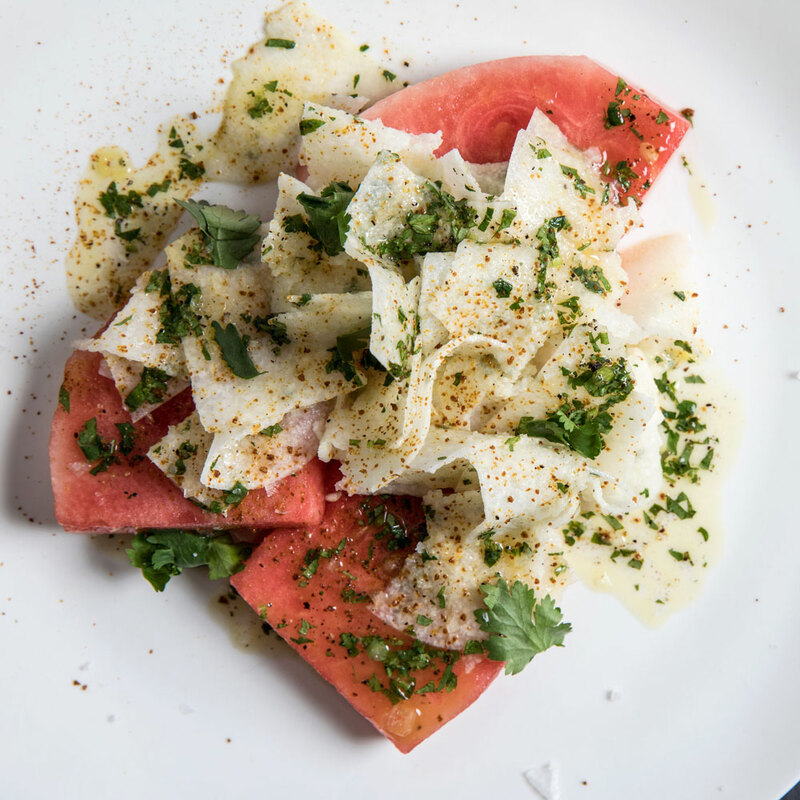 Arrange the watermelon on 4 plates and season with sea salt and pepper. Pile the jicama on top and garnish with chopped cilantro. Dust with chile powder and serve.